A one-man inquiry committee of Additional Secretary B K Prasad will probe the issue of missing files related to the case of alleged fake encounter of Ishrat Jahan, the government said on Monday. Prasad, additional secretary in the home ministry, will inquire into the circumstances in which the files related to the case of Ishrat Jahan, who was killed in an alleged fake encounter in Gujarat in 2004, went missing. The panel will find out the person responsible for keeping the files and relevant issues, a home ministry official said. The papers which went missing from the home ministry include the copy of an affidavit vetted by the Attorney General and submitted in the Gujarat high court in 2009 and the draft of the second affidavit vetted by the AG on which changes were made. Two letters written by the then Home Secretary G K Pillai to the then Attorney General late G E Vahanvati and the copy of the draft affidavit have so far been untraceable. Home Minister Rajnath Singh had disclosed in Parliament on March 10 that the files were missing. The first affidavit was filed on the basis of inputs from Maharashtra and Gujarat Police besides the Intelligence Bureau where it was said that the 19-year-old girl from Mumbai outskirts was a Lashkar-e-Tayiba activist but it was ignored in the second affidavit, home ministry officials said. The second affidavit, claimed to have been drafted by the then Home Minister P Chidambaram, said there was no conclusive evidence to prove that Ishrat was a terrorist, officials said. Former Union Home Secretary G K Pillai had claimed that as Home Minister, Chidambaram had recalled the file a month after the original affidavit, which described Ishrat and her slain aides as LeT operatives, was filed in the court. Subsequently, Chidambaram had said that Pillai is equally responsible for the change in affidavit. Ishrat, Javed Shaikh alias Pranesh Pillai, Amjadali Akbarali Rana and Zeeshan Johar were killed in an encounter with Gujarat Police on the outskirts of Ahmedabad on June 15, 2004. The city crime branch had then said those killed in the encounters were LeT terrorists and had landed in Gujarat to kill the then Chief Minister Narendra Modi. Last week, Rajnath Singh had accused the erstwhile United Progressive Alliance government of hatching a “deep conspiracy” to frame Modi when he was the Gujarat chief minister in the Ishrat Jahan case. Singh had claimed that the previous regime had done a ‘flip-flop’ on the links of Ishrat Jahan with terror outfit LeT. 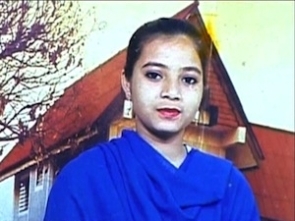 Can you call Ishrat's a fake encounter?